The Newcastle Quayside is one of Newcastle’s swankiest drinking districts for your stag do. 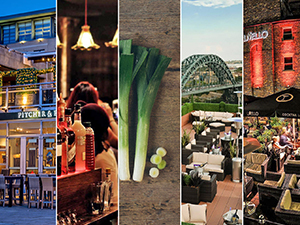 Bars - The Quayside's bars are as stylish as they come, with the city's best views. Restaurants - You've got pie and mash restaurants and the all-round classic, Spoons. 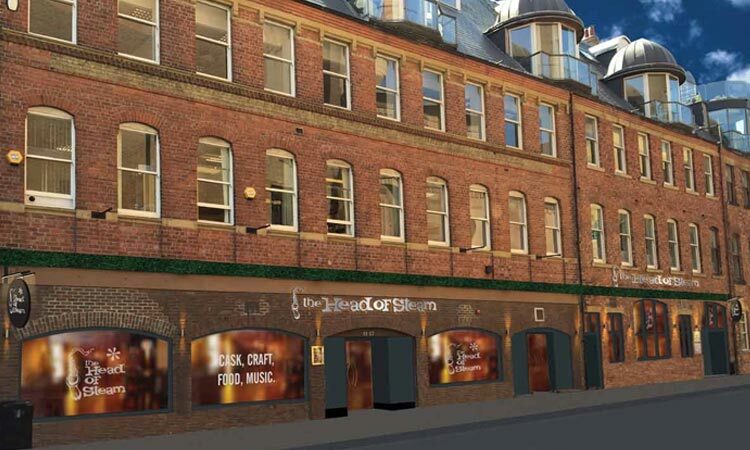 Music - The Sage is a landmark live music venue on the banks of the Tyne, along with top buskers at cool pubs. Shopping - Every Sunday, hundreds flock to the Quayside Market - dedicated to crafts and food. Art - The Baltic sits pretty on the Quayside, but the real art to this district is the sleek bars (and the pints). The Quayside is for artfully leaning against the bar with a malt whisky and attempting to impress the lasses with nee coats on. The vibrant area, surrounding Newcastle’s famous River Tyne, is the city’s hub for art, music and craft beer, and has undergone massive regeneration. Set to a backdrop of the Millennium Bridge and Tyne Bridge (we love wor bridges), this nightlife zone is bursting after dark. Bars line the banks of the water, spilling into the streets in summer, and combine the drinking the Geordies are famous for, along with panoramic views. 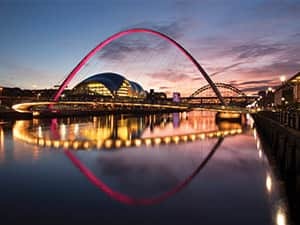 You’ve also got our most iconic attractions (we’re not talking about bridges), in the form of the Baltic Centre for Contemporary Arts – hosting temporary and exciting exhibitions – as well as the Sage Gateshead. The Sage is also our original live music venue, regularly hosting live bands and even the Radio 6 Music Festival. You’ve got your pick of all sorts of venues on the Quayside, including glass-style bars, old-school pubs and even VIP clubs that have attracted Floyd Mayweather. The Pitcher & Piano is, by far, the most popular Quayside venue, sitting pretty next to the Millennium Bridge. It’s glass-fronted, boasts gorgeous crowds and even better beers. The venue directly overlooks the water (and the bridge) and is one of those bars that get even busier in the warmer months (as warm as the baltic North East can get…). The outdoor terrace is packed with ‘after work’ drinkers and locals enjoying the sun, and there’s another terrace on the first floor that can be privately booked. This place mixes food with pleasure - unique in that you can tuck into delicious evening meals, but spend your entire night here. There’s even a top DJ every weekend, along with a massive range of craft beer. 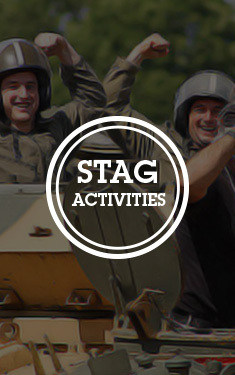 Pro tip: subscribe to the newsletter and get a free drink for your stag weekend. Moving further down the Quayside, you’ve got Aveika – and this is upmarket personified. Aveika is a modern, Japanese-style bar with a sushi grill and classy drinks. That’s not to mention the outdoor terrace - as plush as can be - with comfy sofas underneath the protection of the Tyne Bridge. As the home of its very own ‘Miss Aveika’, the crowds are all you’d expect from Newcastle (and then some). The girls are glamorous in short dresses and high heels, and the bar staff are even suited and booted. Consider this place for your evening meal, as even Floyd Mayweather has dined in this place. 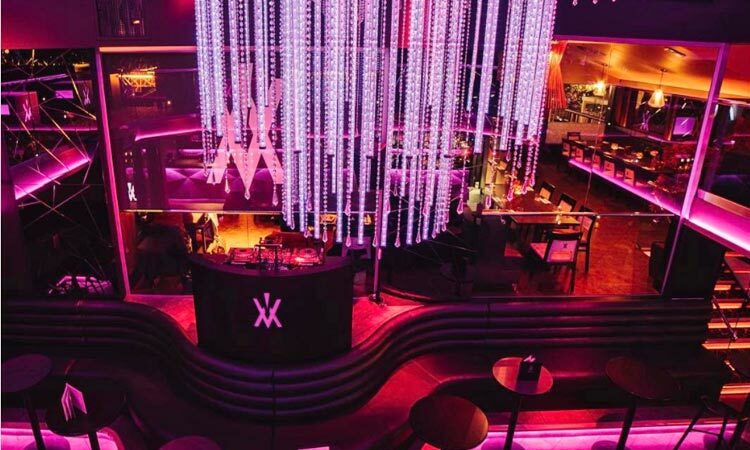 And, once you are done – move onto the multi-room bar, boasting a top floor VIP area and magnums of Champagne. It’s got your name all over it. 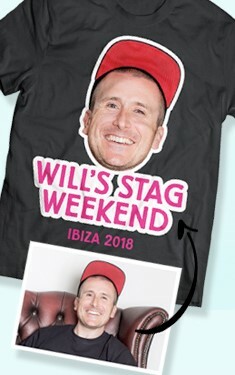 Prepare for a stag do in the air. The Sky Lounge is seriously high (it’s not a friend of Vertigo…), set 200ft above the city. 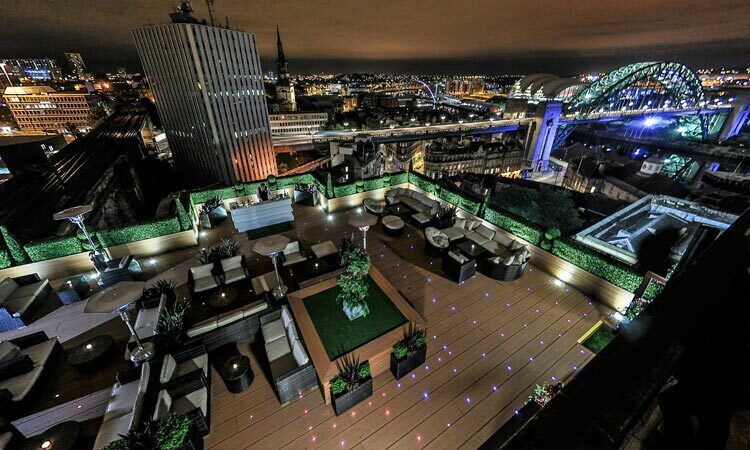 The rooftop bar of the upmarket Vermont Hotel is the most exclusive bar in Newcastle. 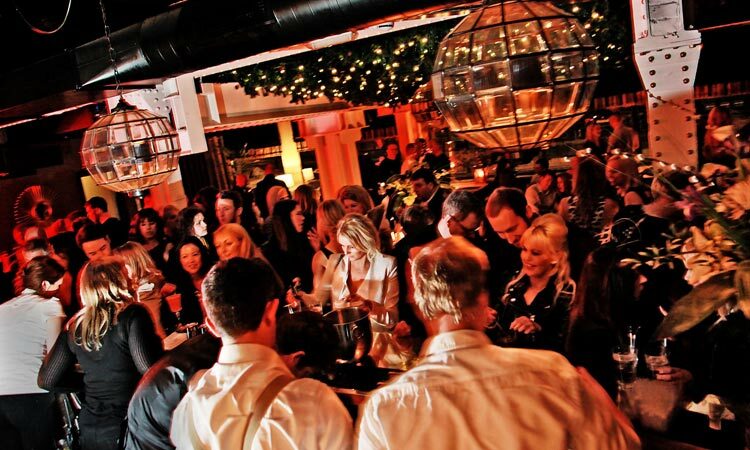 It’s so exclusive, it’s only open for private functions and occasions (and we won’t tell you the price to hire…). However, over several days a year – the Sky Lounge throws open its doors (roof?) to mere mortals like us. This big secret of Newcastle is smart, sleek and modern – sort of inspired by the impressive streets of Miami – and you can even get your hands on the likes of the Mojita del Sol. We’ll take two, por favour. Redhouse, set in Newcastle’s very own red house, boasts an unrivalled USP: ‘pie and ale made with loving’. The intimate pub is a refuge for those seeking home comforts on the stag do, in a swanky and sleek Quayside. The traditional pie and mash pub – with two pie meals for £10 on Wednesday – is based on hearty food and drink, all nestled within a Grade II listed building. It makes everyone feel welcome – especially when serving limited, one-off beers and the most popular brews known to man. You’ve got ales, cans, guest draughts and big sharing bottles for this even bigger occasion. Head of Steam is the unofficial head of craft beer bars on Newcastle Quayside. Set in one of the oldest buildings by the water, and with a huge brother just opposite the train station, this is part of the beer boom foundation taking over the city. Speaking of, you’ve got keg beers – such as Tontine and Vedett Extra Blond – cask ales and bottled beers, as well as a dedicated beer tasting room to sup it like a pro. However, there’s also massive space in the bar for regular folk to take the load off, and even sample the tasty meals. The Quayside, so named after its location (would you believe…), is the best Spoons in Newcastle. The pub boasts two beer gardens, one directly overlooking the water, and another surrounded by bars and clubs. It’s also a complete suntrap. We don’t even have to go into much detail on the drink and food offers you’ll get here. Basically, the likes of two pitchers for £10 and cheap pints are calling your name. 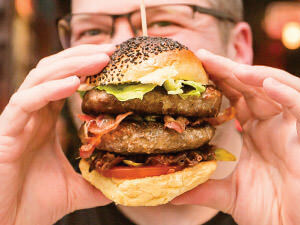 You’ve also got the classic grub; we all know and love the beer and a burger at just £5. 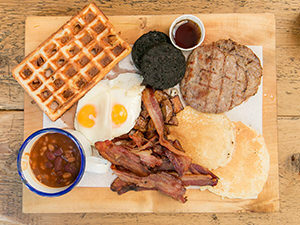 Your hangover begins, and ends, here. 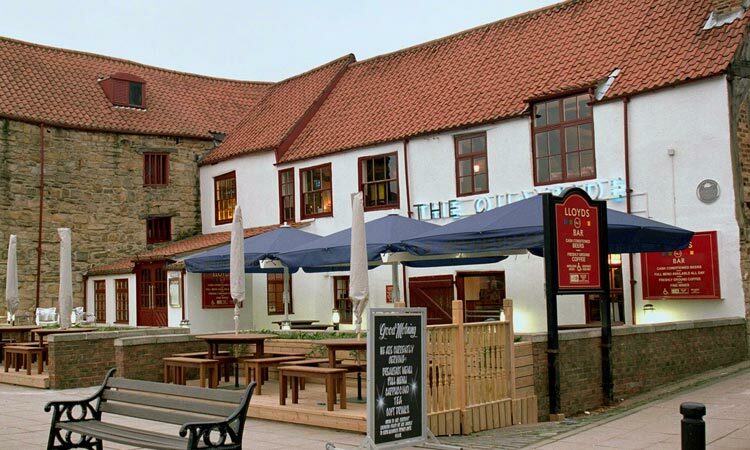 Tiger Hornsby, inspired by a mysterious woman from the North East, is one of the finest bars on the Quayside. Representing the new face to this sleek nightlife district, Tiger is a cosy, yet spacious, pub, with a huge bar and top drinks to boot. The unique setting includes a garden like interior, with leaves across the ceilings and comfy couches to fall into the morning after, or after a few beers. The drinks are also some of the best in the city, and have even won awards – sorted. 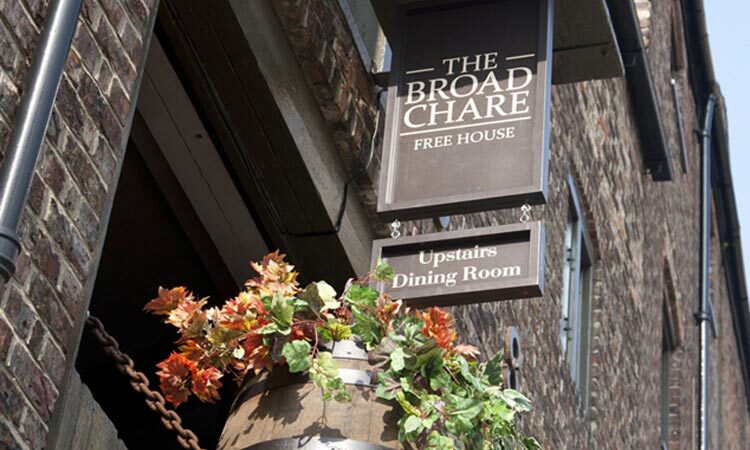 The Broad Chare is dedicated to ‘proper food’ and ‘proper beer’. This is a smart stag weekend sort of place, with a philosophy of ‘our pub is your pub’. Not literally. However, this genuine and authentic pub is seriously homely, split into two levels – downstairs for drinking, upstairs for eating. The expertly-lining-your-stomach food involves steak pie, scotch eggs and pork pies, and the beer is just as local. The legendary Wylam Brewery supplies the house ales, and they’ve also got their own-label brew, The Writer’s Block, a dry-hopped pale ale. The draught beers are on a constant rotation, offered alongside a range of bottled beers that wouldn’t look out of place in the Olympics. Onto the cash, you’ve got a few spread out to choose from (stretch those legs) – including one behind the ever-loved P&P, an ATM at the Tesco, just behind the law courts, and one right next door to The Bridge Tavern. 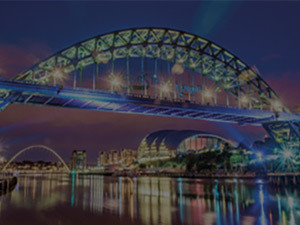 The Newcastle Quayside is slap-bang in the centre, within easy walking distance of all nightlife zones. Although, we recommend a taxi if you are coming from Jesmond. The Bigg Market is the furthest district, taking only 10 minutes to get from the legendary Filthy’s to a pint in the Slug and Lettuce. However, if you insist on a taxi, you’re looking at a couple of quid – tip the driver. The Newcastle Quayside does have a dedicated taxi rank behind the Pitcher & Piano to take you back to your hotel, as well as bus links on the main street. 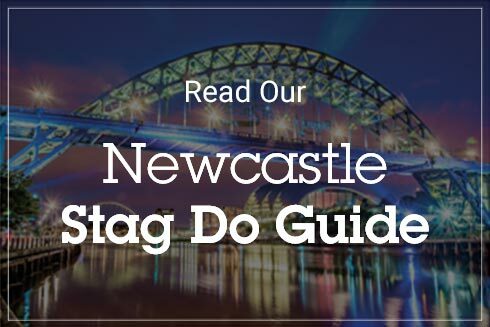 Newcastle's nightlife is huge and, after all that info, we can assume you're ready to plan your stag do. 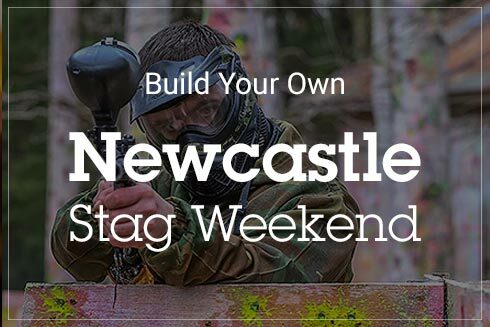 You can build your own Geordie celebration on our massive Newcastle stag weekends page. *We know all there is to know about the Quayside, and all info on the zone was correct at the time of publication - 06/06/2017. Probably.